Superdry women's Alice crew sweatshirt. 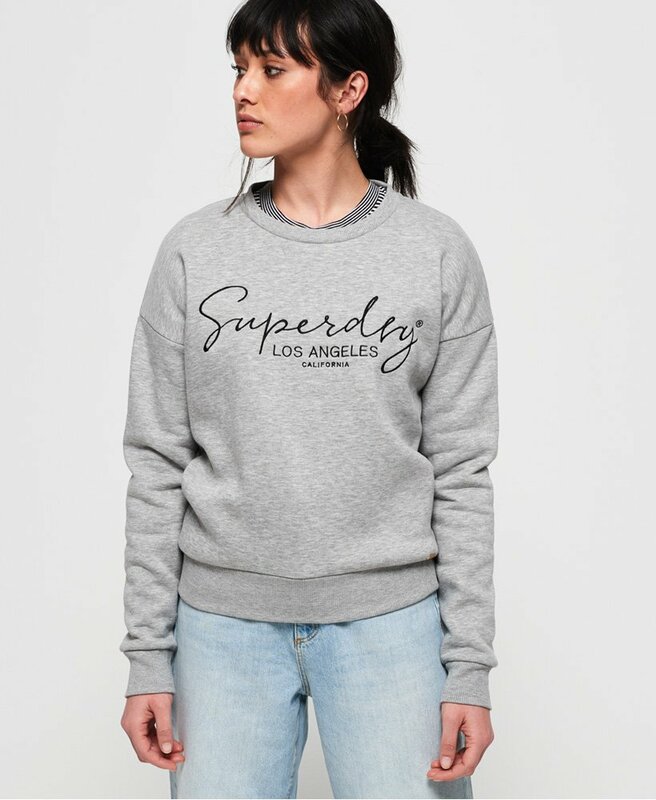 A wardrobe essential this season, this sweatshirt features an embroidered logo graphic on the chest and has been completed with a metal logo tab above the hem. With a super soft lining, this sweatshirt is sure to become your new go to cover up this season.